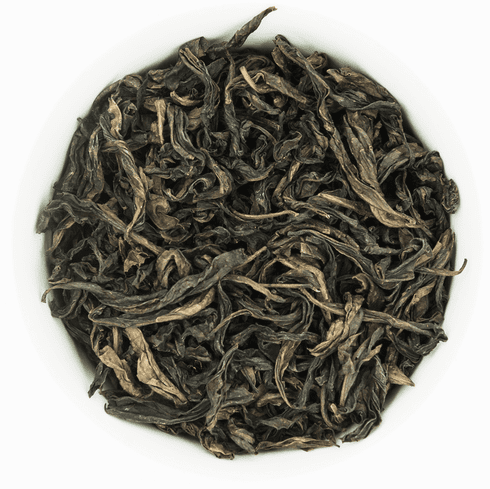 Ten Ren's Supreme Scarlet Robe Oolong, also known as Da Hong Pao, consists of the finest and exquisite oolong harvested from the Wuyi Mountains in Fujian, China. The name originates from an emperor who was cured by this tea and hung his scarlet robes to commemorate tea bush. The steeped tea has a dark orange hue, slightly roasted aroma with floral undertones, a slightly roasted flavor, and a smooth aftertaste. The water used to steep this tea should be about 185-195�F or 85-90�C. Use about 2 teaspoons (3 grams) of tea leaves for about every 5 ounces (150 milliliters) of water. A steeping time of about 3-5 minutes with more or less time is recommended depending on the desired concentration. As a rough guide, the higher the temperature of the water or the greater the amount of leaves used, the shorter the steeping time should be. The tea leaves should uncurled for full flavor. For the ultimate enjoyment, a traditional Chinese Yixing teapot is recommended for loose oolong tea. The teapot should be half filled with leaves and initially steeped for 45 seconds to 1 minute with the steeping time increased by an additional 15 seconds for each successive steeping. The leaves may be steeped multiple times.